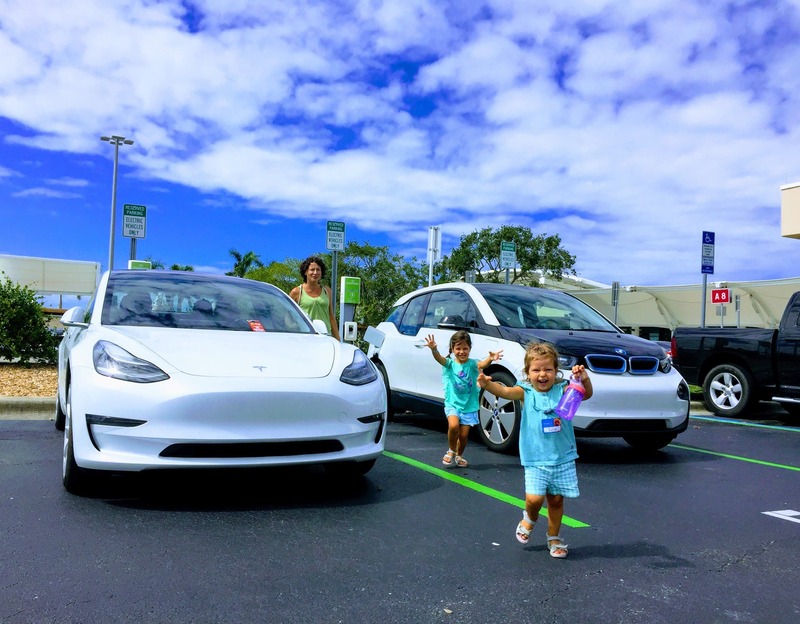 Not Joking: Why The Media Has Been Failing On Tesla, & Is It Turning A Corner? There are certain topics we at CleanTechnica find so important that we cover them from multiple angles. It’s like putting the pieces of a puzzle together to show the full picture. However, at some point, you have to step back to see the full picture — and have to step quite far back if the puzzle is big. 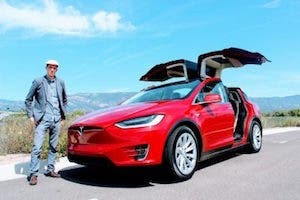 Roger Pressman wrote the best piece I’ve read on “The Tesla Smear.” It superbly covers the various interests that may be at play or are definitely at play trying to smear Tesla’s image in the public eye. Peter Forman (aka Papafox) just wrote the best piece I’ve seen on how short sellers are manipulating Tesla stock (including in illegal ways) to try to drive the stock down. There’s a third major player in the Tesla story that deserves a thorough, nuanced, and considerate look. That’s the media. And no, the idea here is not to just bash the media for doing a crappy job of covering Tesla. The idea is to try to understand why large members of the media are participating in The Tesla Smear and why so many reporters and editors are acting as pawns of billionaire short sellers, the oil industry, and the broader auto industry. I wrote a joke article the other day listing potential reasons the media is reporting so negatively on a great American and societal success story. I realized after reading several comments that some people were treating it as more than a joke article and adding real reasons why the media coverage is so bad. So, to be clear, I think the below is what is really going on with the media and its coverage of Tesla. Before getting into details of the puzzle, we need to take a giant step back. What’s the purpose of puzzles? Okay, skip puzzles, but consider for a moment: what’s the purpose of the media? The media, ideally, is a fundamental pillar of democratic and semi-free-market societies. In the ideal version of a democratic society and a free-market society, all citizens have complete knowledge. Of course, none of us actually have complete knowledge in reality, but the idea is that we will be better off if we have more information and knowledge. The media’s role is to investigate and sift through massive amounts of information in order to bring the useful stuff to the public. To do so effectively, the media must also be good at telling stories and attracting eyeballs, but it has to remember that it’s core aim is to bring useful information to the public. Too much these days, the media world has turned into clickbait stories without solid substance or much actual use for the public. Celebrity obsession is one weird and extreme aspect of this, and while “business reporters” may like to pretend they’re above that, they often follow the same pattern but focused on “business person celebrity nonsense.” Through a boss- and revenue-driven need to chase clicks, the purpose of journalism is often lost. Just via a quick search for “Jeff Bezos,” I find this on the top of the list: “There’s one clear sign Jeff Bezos looks for to gauge how smart people are.” The big reveal? That people who are willing to change their minds based on evidence are smart. Wowza! Business reporters write this kind of story all too frequently. The “Billion-Dollar Tesla Hit Piece,” as Papafox calls it, was a New York Times–stylized version of this with a special focus on warping the story and the atmosphere of the story. The phone interview was the same day as this video interview with MKBHD. If you check both of those out, you see a very different image of Elon. One of them caused a massive drop in Tesla’s stock. The other, the one capturing Elon on video for an extended period of time, portrayed him in a vastly different way. Which was more accurate? Which was more useful for society? The public by and large does not understand the severity of the crisis (which is why climate scientists have their eyeballs popping out of their skulls anytime you see one of them on TV — which is extremely infrequently). The media, whose job it is to convey the most important information to us in a compelling way, has lost the plot and largely ignored the story of the century. Catastrophic climate change is perhaps the #1 challenge society has ever faced and the media treats it like a groundhog story you tell once a year for approximately 3 minutes and 27 seconds. If the media was honestly doing its job and trying to explain the society-destroying Armageddon surprise that is at our doorstep, we’d be taking much quicker and stronger action and we wouldn’t have received this new report from hundreds of climate scientists. And if you actually take some time to look beyond the catastrophes we are probably facing this year, next year, in 10 years, and in the coming century from global warming and resulting climate change, the story can get seriously stark. The IPCC report released this week noted a short timeframe to act in order to prevent runaway, irreversible global warming. If that is indeed where we land, it’s actually possible that we will push the planet to a point where humans can die in some places just from going outside. It could genuinely reach the point where it gets so hot in some places that you will actually fry to death if you step outside. What’s all of that got to do with media coverage of Tesla? A great deal. For one, if the media had its collective head wrapped around the climate story and was genuinely trying to do its job, it would include mention of our climate challenge and our future in many, many stories — stories about politics, about oil, about natural gas, and, yes, about Tesla. The media should understand the most important actions society should take in order to turn off the oven: electrify transport, turn off coal and natural gas power plants, and stop cutting down forests (which essentially means cutting meat production and consumption). With that understanding implanted in reporter and editor brains, and with a clear focus on helping society to address this problem (a focus they should certainly have, no matter how many times you hear people repeat the false mantra of “objective, unbiased” reporting with respect to topics like this), the media would repeatedly highlight the role of certain companies in accelerating the transition to clean, sustainable, zero-emissions transport — or in trying to slow the transition. For that matter, the media would also communicate frequently the role certain companies have in accelerating the transition to clean, sustainable, zero-emissions electricity sources. And as it turns out, Tesla is involved in both. There is no company pushing the transition to clean transport harder, faster, more convincingly, and more effectively than Tesla. Aside from leading the electric vehicle (EV) industry in demand and now production of EVs, there’s an important point we can’t quantify: Other automakers wouldn’t have nearly as serious EV plans if not for Tesla. This can be documented and proven to some degree, but we don’t actually understand how much Tesla has accelerated Volkswagen’s transition to EVs, Daimler’s transition, BMW’s, Volvo’s, Geely’s, and so on. We also can’t say how much Tesla has stimulated and strengthened governmental EV or transportation policies. Tesla scored the biggest product launch in history with the Model 3. No product in history showed so much consumer interest (in terms of dollar value) in a product on opening weekend. Hundreds of thousands of consumers put down $1,000 in a matter of weeks in order to get in line for a car they’d have to wait years for. 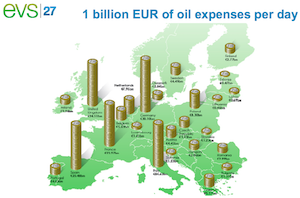 This consumer interest was noted by governmental leaders. They realized that the tired, previously convincing talking point from the auto industry that consumers didn’t want electric cars was bunk. 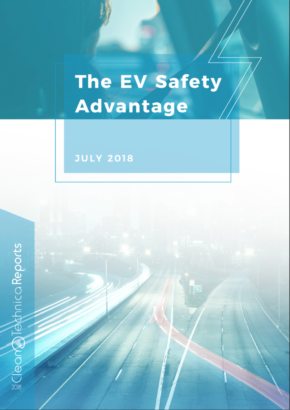 They realized that they could keep, start, or push for strong EV policies because the industry could deliver if it really wanted to, and because consumers did want these vehicles. How much are China’s strong EV policies driven by Tesla’s success? We don’t know, but I guarantee they are driven in part by it. I guarantee Chinese leaders were impressed by Tesla when they learned about the company and that helped them with a decision to lead in this industry of the future, an industry that offers economic benefits, health benefits, climate benefits, quality of life benefits, and more. Not tied down by a deference to a strong national oil industry, the good news is that China has been able to act strongly, decisively, and quickly on this topic. Again, all of the above is context that members of the media should understand well, should communicate to readers, and should use to put other news into proper perspective. That directive is unrealistically idyllic, unfortunately. It is so far removed from what the media is doing that it’s not the best starting point for actually discussing what has gone wrong with the media–Tesla relationship. The mass media tends to focus on negative, short-term issues rather than cheerleading notable successes. The media industry has been in a bit of a financial crisis since publishing became free and billions of people have started doing so in high volume, effectively competing with traditional media outlets. That has led to layoffs, less specialized reporters, and less time for proper research and work. When a company or person is on top of the world for a while, the media’s tendency is to tear them down. Why? Because. Thorough and public financial analysis, forecasting, and “futurism” are not part of the mass media’s repertoire. So, they reference “experts” for that. However, they seem to have a hard time shaking out the experts with strong vested interests that are more inclined to shape a narrative than tell the complete truth. But now that we have all of the stuff out of the way that almost definitely will not be fixed, let’s address some of the mistakes the media has made regarding Tesla that have led to this point, as well as some of Tesla’s mistakes. First of all, it appears that many in the media are either confused about the hundreds of thousands of reservations Tesla pulled in for the Model 3 or just don’t know what to make of them. 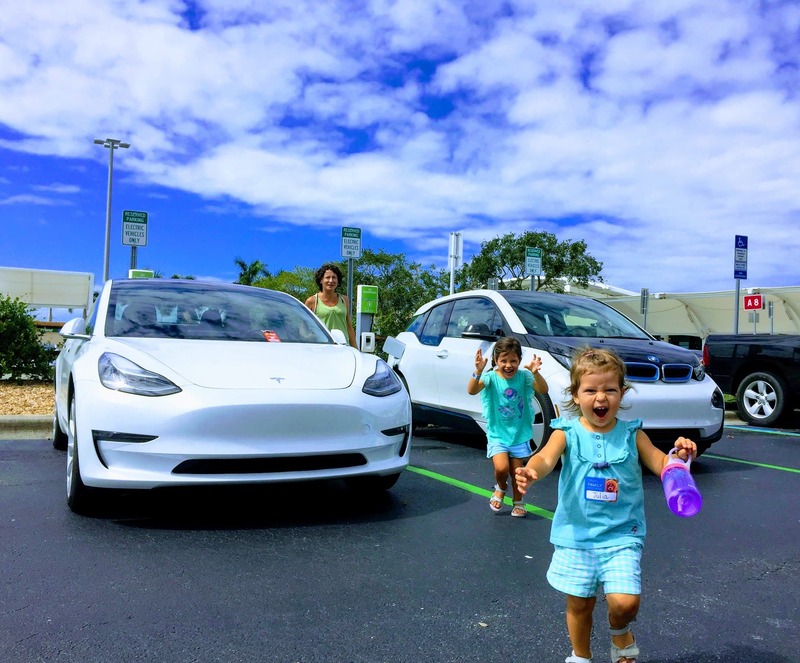 They have often skipped acknowledgement of the fact that there is a tremendous amount of pent up demand for clean, zero-emissions, properly designed and supported electric vehicles. They have fallen into the trap of repeatedly hyping the “demand may not be there for Tesla’s vehicles” meme. Why they keep falling for this, I’m not sure, but it has been a problem in mass media coverage of Tesla for years that should be dropped before it gets any more absurd. Well, I think we actually know where that meme comes from. They collect it from short sellers, short-seller disciples, threatened competitors, and overly pessimistic skeptics who are trying to push a certain narrative out there. And this is probably problem #1. They have bought into the illusion that threatened competitors and short sellers (who are all over the media for some reason) are expressing honest, accurate critiques. Now, if these reporters had been closely covering Tesla since the Roadster or Model S days, they would see the pattern of arguments and realize they get recycled year after year even though they were never accurate before and shouldn’t be recycled. Instead of ignoring such claims, the soak them up and push them out month after month, year after year. They are funneling warped anti-Tesla propaganda to the public because they are going to experts who would like to see Tesla collapse. Another thing that came to light in the past couple of years is that Russia engaged in massive public perception campaigns driven by gaming of social media. Fake profiles, fake comments, fake tweets, fake news, fake citizen concern, etc., etc. Before the official revelations of this, a “thoughtful, serious person” might be inclined to say the idea was crazy. Even nowadays, to say that these tactics are being used for other purposes (like smearing cleantech companies) may lead to some “thoughtful, serious people” rolling their eyes. To think these tactics were only employed to get Donald Trump elected is to ignore the water in a pool while noticing the water on your head. I used to cover climate science. I covered climate science through the period of COP15 in Copenhagen. I learned to notice the Russian trolls in comments and on social media before I learned they were Russian trolls. 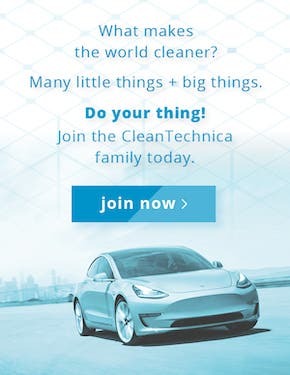 Later, on CleanTechnica, I saw the same kind of trolls pour in on certain wind energy articles, solar energy articles, and now Tesla articles. They come out in full force on Tesla articles, and they swarm Twitter as much as anything I’ve seen beyond the #MAGA nonsense and /RealDonaldTrump subreddit (or whatever that hugely gamed subreddit was called). I’m not saying these are all Russian trolls. They could be troll armies hired by Big Oil, short sellers, or Barney as well. It’s quite hard to discern the source of the trolling. Yes, I’ll state the obvious: Many reporters buy into the talking points of the social media troll campaigns and are convinced they come from a totally honest, democratic source. Read “The Tesla Smear” to get a better sense of the various players involved or potentially involved in smearing Tesla. If you think billions of dollars are being put on Tesla stock dropping and the people behind those billions aren’t engaged in social perception campaigns that are warping reporter opinions, you are sleeping at the wheel. And now we get to the last part — the stumbles and missteps at Tesla that have turned the media attacks on Tesla up to 11. For years, CEO Elon Musk would fight back against horrible, sometimes manipulated coverage in the media (whether it be from Top Gear or the New York Times.) But Elon and Tesla were pretty much in a great place in the public’s eye and the media’s eye. People loved Tesla vehicles and loved Elon Musk, and the media somehow reported that story in a straightforward manner for a while. In 2016, I wrote an article titled “Why Elon Is Loved So Much” and the follow-up “Why People Hate Elon So Much” hardly even seemed necessary because the attacks on Elon had hardly begun. The media mostly shared the clear Tesla story when it decided to write about the underdog Silicon Valley startup. When something was wrong, Elon provided feedback and they corrected their errors. But then certain short-seller and smear-campaign narratives really started to take hold. The mass media started weaving them into story after story. Elon and Tesla pushed back, but the corrections weren’t being made. The attacks grew in number and intensity. Elon got upset. After a while, the top blew off and cool-as-a-cucumber Elon Musk went after the media — not in its entirety, but close enough to it that just about every journalist’s blood started boiling. Also, let me be clear, while I said above that reporters are too stretched to be experts on many of the topics they cover, there’s one thing the mass media spends a tremendous amount of time and resources on, and thus understands very well: US politics. I’m not saying they do a good job of telling the complete story (see my criticisms above), but they at least understand when a demagogic con man is attacking democracy and are able to explain that. The attacks on the media stirred up a tremendous amount of anger, frustration, resentment, and desire for revenge from reporters who were previously just trying to do their jobs. No, Elon Musk was no societal savior in their eyes — now he was “just like Trump.” There’s plenty more nuance and history here, but I won’t go into it all. The important point is that Elon had become a Trump surrogate in their eyes. Elon had attacked one of the core pillars of democracy (even as he was attempting to point out that it should be strengthened). Without a doubt, the results of those blanket attacks on the media are still playing out today. Without a doubt, some journalists covering Tesla hate Elon Musk and hate Tesla because of that episode. Without a doubt, they are much more open to to the messages of short sellers, the oil industry, and conventional auto lobbyists after determining Elon Musk is just another rich jackass out to attack democracy and anyone who questions him. Resolving that problem is something that will take time, careful attention, empathy, and more than a pinch of patience. I hope Elon and Tesla can employ all of that, for the sake of society. There’s another problem as well. Tesla is one of the hottest brands in the world — if not the hottest. It is one of the most dramatic stocks on the stock market. Its CEO is one of the most candid, honest, funny, and public CEOs out there. People want Tesla news, and reporters must deliver. The media is going to fill gaps in the Tesla news cycle if Tesla doesn’t do it well for them. Tesla, frankly, needs to do much more to guide the narrative, get useful and genuinely informative stories out there, bring the media into the world of Tesla instead of expecting reporters to wander in smoothly themselves, and present the vast success story of a 15 year old Californian company that now employs more than 40,000 people in the pursuit of a clean, sustainable, fun future for humanity. That is the actual story, but it has to be communicated to the media effectively, smoothly, and obsessively in order for them to communicate it to their readers again. Despite the long period of animus and the ongoing challenge of communicating the Tesla story to reporters who are strapped for time and continuously being fed buffets of short-seller talking points, I have some hope that they are turning a corner. For one, some of them have taken note of the smashing sales successes of September, and Q3 as a whole. 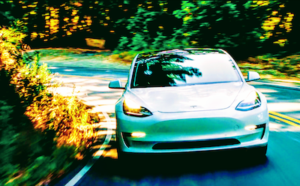 Another article from Gabrielle Coppola and Tom Randall noted that the Model 3 was becoming one of the top selling sedans in the US. This one did include a good chart showing that the Model 3 was the #5 top selling sedan in the third quarter. The cars above and below it on the list are much cheaper cars, which means the Model 3 is the highest grossing sedan, but I’ll give them a pass for missing that note. CNN also had an article on the Model 3 becoming one of the best selling cars in the country. 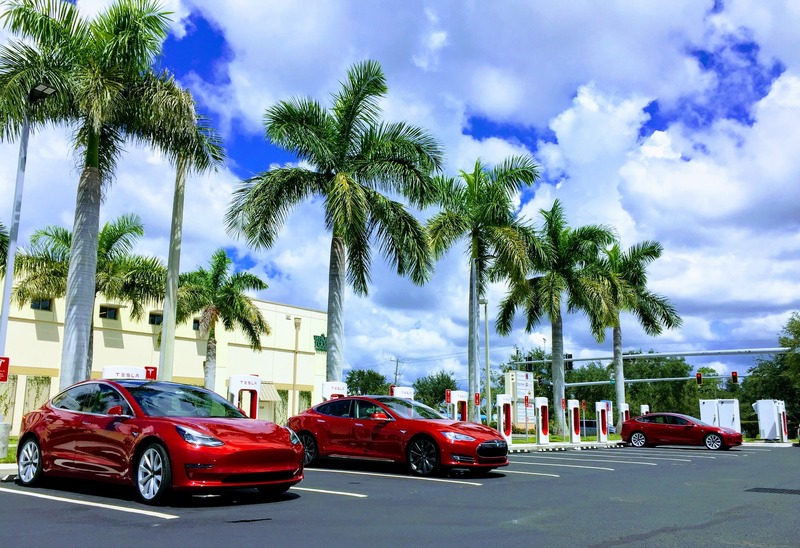 In the past few days, those outlets and others have gotten wind of the news that Tesla has become the #1 top selling luxury automaker in the US and the Model 3 has become one of the top selling cars in the country. Perhaps they will next discover that Tesla is on solid financial ground and probably has a bright future? By and large, the media’s Tesla focus is still heavily negative and lacking in proper context, but I am slightly hopeful that the media is turning another corner on Tesla and willing to swing back to optimism. In addition to the article highlights above regarding Tesla sales, the Q3 earnings report is around the corner. Presuming Tesla’s financials are as good as we think, it will get much harder for the short sellers to manipulate the press and convince them that Tesla’s about to collapse. 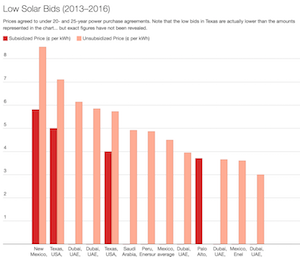 If those reporters start to see through the FUD showers, perhaps they will see enough daylight again to view Tesla as a cleantech American success story worth highlighting in a positive manner. Perhaps they will stop giving so much ink to genuinely fake news about criminal parking lots, financial Ponzi schemes, and Twitter trolling. Perhaps they will start to believe what Elon Musk has been telling them consistently for years. 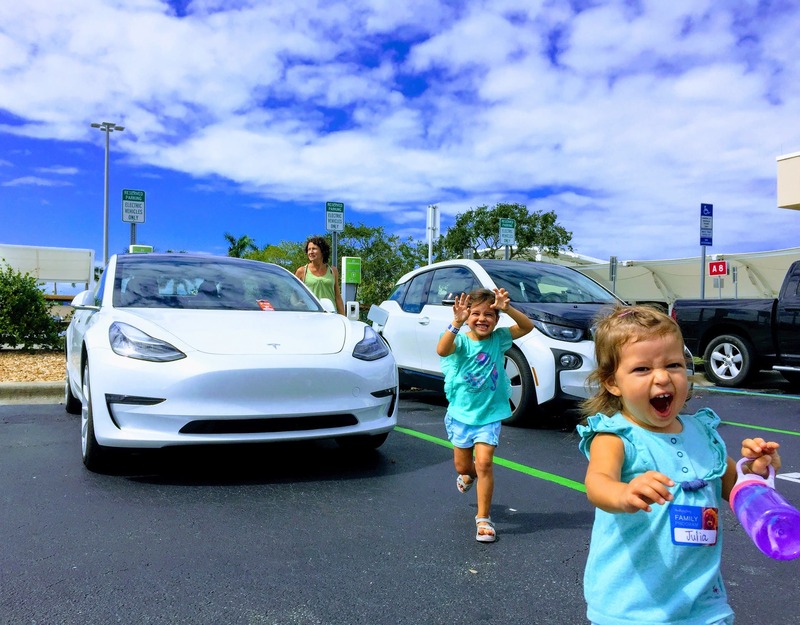 Perhaps they will see the smiles on the faces of Tesla drivers and understand the essence of what’s at stake here and why Tesla is in business and is so successful.